There’s not much difference between Tony Perez and Fred McGriff if you look at the issue closely. Both Tony Perez and Fred McGriff were extremely popular, batted cleanup, and drove in lots of runs. Both were first basemen, though Tony and the Reds danced around third base for a brief period. Obviously, Tony was a stocky, muscular righthanded batter and McGriff was a tall lefthanded slugger. But the players still have many strong similarities. 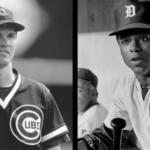 Both were key players on successful ballclubs: Perez’s teams were in the playoffs six times and won five pennants; McGriff’s teams were in the playoffs five times and won two pennants. Tony won two World Series titles, McGriff got one, both were All-Star first basemen in the National League. Perez and McGriff both struck out a lot for their era, both grounded into double plays frequently. Neither was very fast, and they finished their careers with almost the same number of extra-base hits, (963-957 edge for Perez). Perez and McGriff each played with multiple Hall of Fame players who got more headlines. For Tony it was Pete Rose and Johnny Bench, for Crime Dog it was Maddux/Glavine/Smoltz and Chipper. McGriff and Perez were both involved in controversial high-profile trades. McGriff was part of the megadeal that sent him to San Diego and brought Joe Carter and Robbie Alomar to the Blue Jays. Perez was dealt to the Expos after the Reds won their second straight championship, so Cincinnati could play a younger man at his position. Both McGriff and Perez circled back to their favorite teams late in their careers to retire wearing those uniforms. They both played into their 40s. 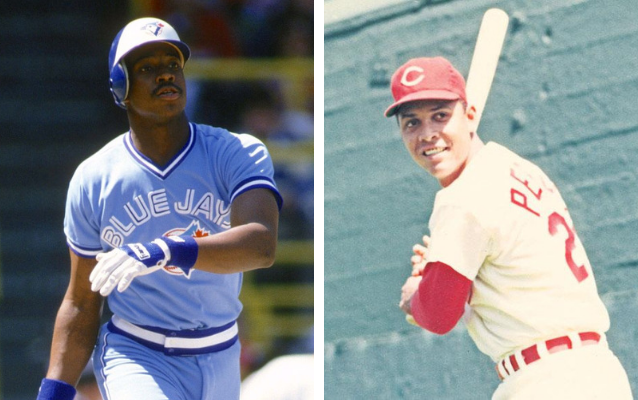 Both players have connections to Florida: McGriff was born in Tampa, there’s a high school there with his name on their ballpark; Perez came to Florida on a boat to escape the Cuban Revolution and later managed the Marlins. Tony’s held in such high esteem by the Cuban population in Florida, that there are streets in both Miami and Tampa named for Perez. Perez and McGriff both hit dramatic home runs in the All-Star Game. Perez hit a solo home run in the top of the 15th inning of the 1967 game that put his team ahead. McGriff hit a game-tying two-run home run in the bottom of the ninth of the 1994 game. Both games were won by the NL in extra innings. When little Freddie McGriff was eight years old he lived only a block or two from Al Lopez Field, spring training home of the Reds. McGriff went to games all the time and rooted for Perez and his teammates. Young McGriff played little league baseball for a team coached by one of Perez’s friends. 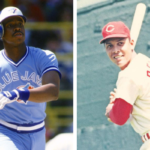 McGriff once said of his childhood: “I played baseball all day, every day, I lived for the game.” Perez described his childhood as “School, work, and baseball, and baseball was what [I] lived for.” Both men played professional baseball for the first time when they were just 17 years old. You can keep going with the similarities, some of it’s eerie. They both had canine nicknames: Big Dog (Perez) and Crime Dog (McGriff). Each man ranks in the top 15 all-time in strikeouts and the top 50 all-time in runs batted in. If advanced stats are your thing, McGriff has a career WAR of 52.6, Perez comes in at 54.0 in the same stat. They’re nearly identical in peak value too: Perez’s WAR for his best seven seasons is 36.5, and McGriff’s is 36.0, and if we go to their best three seasons, it’s 19-18, edge to Tony. Perez benefited from playing for one team for (most) of his career, while McGriff played five seasons with the Braves, five with the Blue Jays, five with the Rays, and three with the Padres. His career arc is split between many landscapes. Perez has a narrative: he was the great RBI-man of the Big Red Machine, while McGriff was a bat-for-hire RBI-guy who carved his career between multiple teams. And that last difference is the primary reason the Crime Dog has had a tough time getting strong support for the Hall of Fame, while Perez has his plaque. But their similarities as players are pretty strong. Perez is in the Hall of Fame, though it took him nine years on the ballot. Through 2018, McGriff has been on the HOF ballot nine times and has yet to reach 24 percent. The 2019 ballot is McGriff’s last chance, and there’s no chance he’ll get the votes to jump to 75 percent needed for election. But, his case is a strong one, if the voters look closely at the issue.